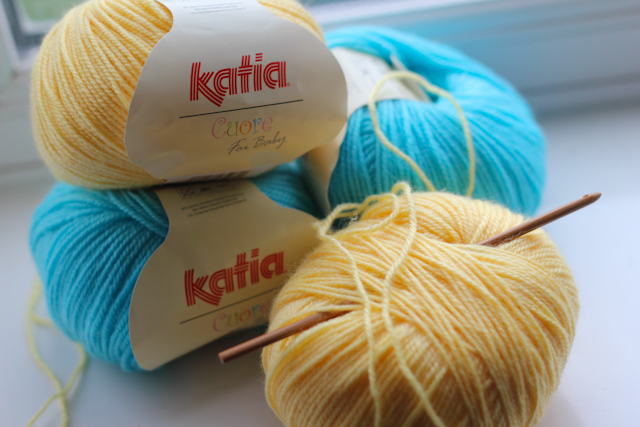 Yarn is Cuore For Baby by KATIA, 50g/190mts, 80% acrilic, 25% merino, 15% polyamide. It is extremely soft and nice to touch, so should be an ideal thing for the baby blanket. I bought it from Knitters World Scarborough and the price was fantastic, but only because this yarn has been discontinued by KATIA. Actually I bought it while I was pregnant to make a warm slipsuit for My Little Man, but then I realized how much time will it take to knit a slipsuit with so fine yarn. So I decided to crochet a baby blanket for my husband's cousins baby who should be born in April. One more thing I want to share today is more inspirational. 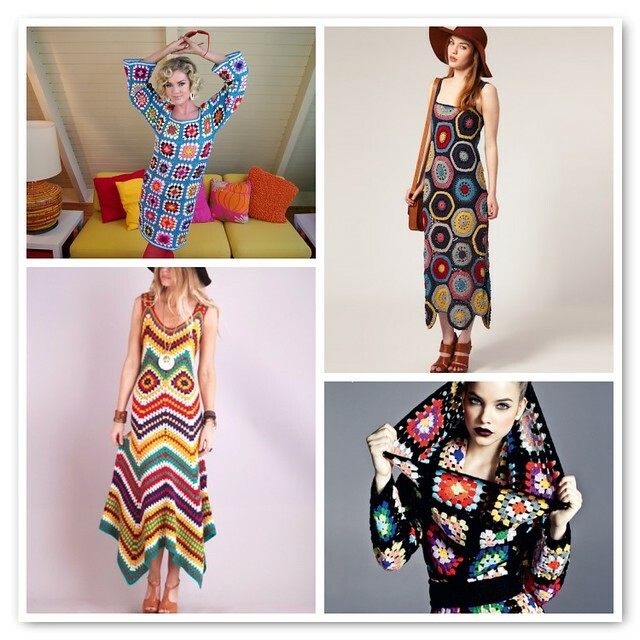 Probably I'm a bit crazy about doing two things in the same time, but I manage to search the Web while breastfeeding and today I was looking for some clothes made with granny squares. Most of the pictures are quite odd and boring in the same time, but this four looked quite cool to me. I really love them all, especially the last one. It looks so cool and modern despite it's just the old well-known granny squares.